The Miniature Level Switches that we offer can be extensively used in water purifiers and other tanks and vessels where multi-level control is needed in different phases. These products are available in side-mounted as well as top-mounted models. These are manufactured with very high production standards of material and technology and are very long lasting. 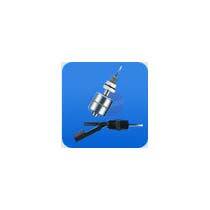 We are an experienced exporter and supplier from Chennai.